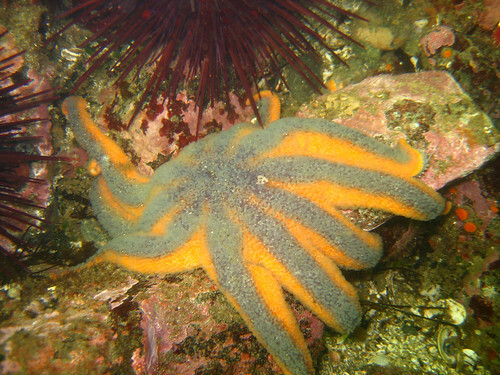 The Echinoblog: Sea Cucumber Evisceration! Defense! Regeneration! Why? GROSS! This is such a coincidence as I was going to ask you about Sea Cucumbers! I was eating in a Chinese restaurant in Dubai (blog post to follow) where I saw plates of sea cucumbers in varying colours and size to be prepared into a stir fry before your eyes! Have you ever eaten one? I've eaten sea cucumber on many occasions. The species I've tried have a very subtle taste that tends to convey the flavor of the sauce. There is a substantive gelatinous texture to it which is what most people seem to remember most. Sea cucumber harvests are becoming a conservation issue-so at this point I would enjoy with some restraint and caution..
Sea cucumbers actually taste like cucumbers. And when you pickle them they taste like pickles. 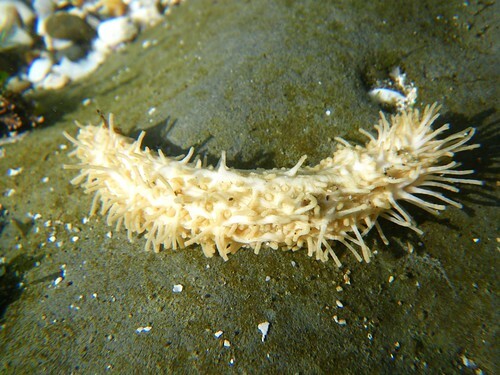 Aren't sea cucumbers amazing. Please note what I said Marlyn. They do NOT regenerate if cut into two. Only partiallly. Also, the bodies do not turn into liquid, they liquify. that is the texture becomes very, very soft.